This year’s 59th edition of FLIBS didn’t disappoint as manufacturers unveiled their best and latest at the five day event that ran from Wednesday, October 31 – Sunday, November 4. 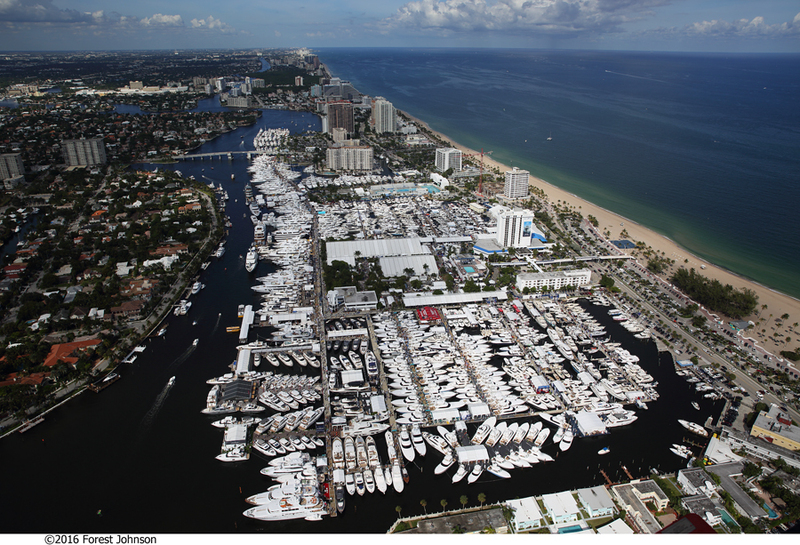 Recognized as the largest in-water boat show in the world, a pre-show Welcome Party hosted by Informa and the Marine Industries Association of South Florida rolled out the red carpet to guests Tuesday night. The shift to Center Console (CC) hulls continues to drive the always fast-paced high performance market as boat builders launch larger and power packed models. In-water displays along the H-I Dock showcased several dazzling styles including the 2019 Statement 35 CC, dressed in Porsche Ice Blue and outfitted with triple 300 V-8 Mercury engines for a 75+ mph ride. MTI spotlighted a collection of catamaran and vee hulls, while debuting the all-new V-57 Sport Fish Center Console with quad Mercury 400R engines designed to lure the fishing enthusiast. Along with the latest products, there’s plenty of buzz fueling the show and this year was no exception as a mega announcement during Westrec Marinas annual press reception on Thursday spotlighted its growing relationship with Marine Technology, Inc. (MTI), which opened its first independent sales office earlier this year at Haulover Marine Center. “We are so excited,” Scism told me regarding the 4,500 sq. 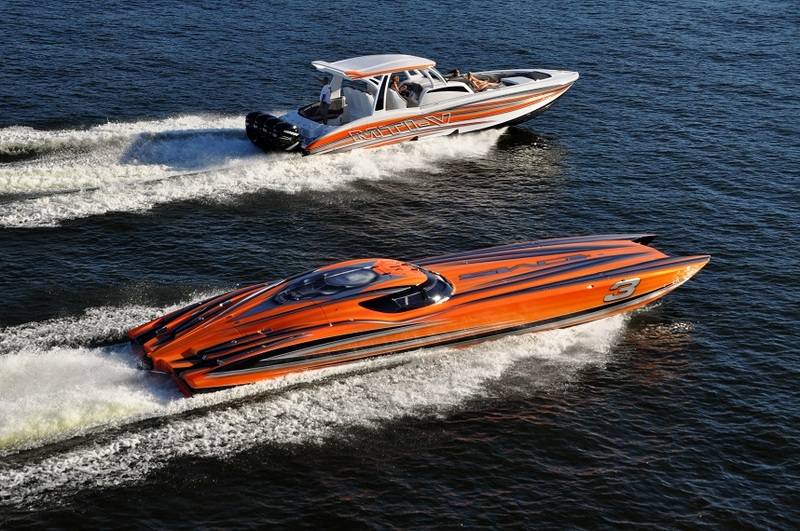 ft. South Florida-based facility that provides sales, service, repair and its innovative white glove service (includes pre-excursion washing and full charging to post-excursion systems checks, flushing, washing and more) that affords MTI customers with a worry and maintenance free boating experience. With Haulover Marine Center strategically situated just a half mile from Baker’s Haulover Inlet, providing boaters a quick and effortless ocean access, “This is the ideal location…on a good weather day, it’s a 45 minute trip over to the Bahamas or down to the Florida Keys,” he added. The SBI World Championship Race Week in Key West continued to dominate the performance conversation. When I caught up with Florida Powerboat Club’s Stu Jones, I got the latest on his legendary Key West Poker Run. “Times are good. We’ve got 28 sponsors and 192 entries, maybe even 200.” And as always, Jones is already looking ahead to 2019.